Dr. Patrick Cohn and Olympian Wendy Bruce-Martin discuss the top mental game challenges for gymnasts. Learn how perfectionism can be an asset and a problem for competitive gymnasts. This week Dr. Patrick Cohn and Wendy discuss why gymnasts dwell on mistakes and how they can move on after making mistakes in competition. Perfectionist gymnasts have difficulty moving past their mistakes in competition. And given that a routine happens pretty quickly, gymnasts do not have time to get stuck on the last skill. They tend to dwell on what they messed up, which makes it harder to focus on the current skill. When in competition, you need to be able to let go of past mistakes. Click on the video icon below to hear what we have to say about moving past mistakes in gymnastics. 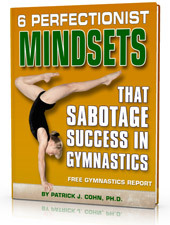 Learn some ways of refocusing after mistakes in gymnastics. Learn more about letting go of mistakes in gymnastics by watching the discussion below. 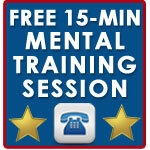 We have four videos in the series to help you (or your athletes) cope with perfectionism! In video 3, Dr. Cohn and Wendy discuss why gymnasts have a difficult time moving past mistakes and how they can learn to let go of mistakes in competition. 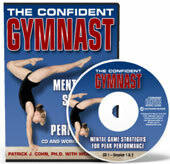 Learn more about Gymnastics Mental Coaching here or order the new Confident Gymnast Workbook and CD Program here!